Dollops of Diane: Wellness TruFood Wagon: Gourmet Food Truck for Pets! 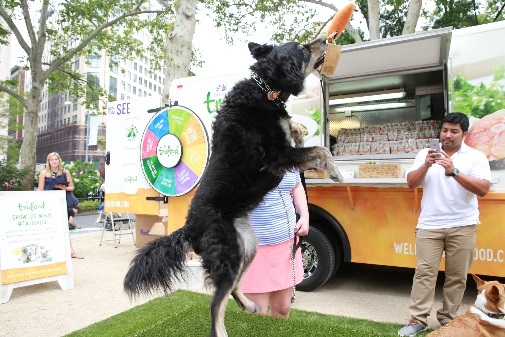 Wellness TruFood Wagon: Gourmet Food Truck for Pets! 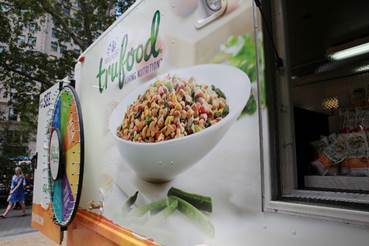 The Wellness TruFood Wagon has been on the road and is now in the Boston area. They've been visiting local pet stores, pet events and dog parks to showcase their artfully blended TruFood recipes and Living Nutrition philosophy. 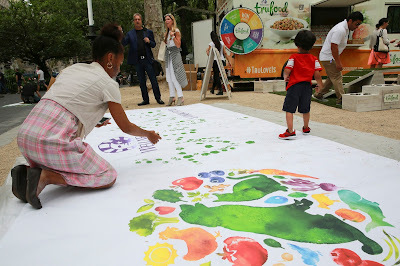 You can stop by the events for free samples, activities, and learn about TruFood recipes. Also, you can spin the wheel for a chance to win prizes including a year's supply of Wellness TruFood pet food! Although the tour is heading towards the end of its run, the best is yet to come with the truck's biggest events at the upcoming Head of the Charles. This past weekend, the Wagon was onsite at Cape Cod Doxie Day where they had pets create a mural. For each paw print on the TruFood "Pawcasso" mural Wellness donated a bag of food to shelter pets in need. Be sure to follow @WellnessPetFood on Twitter for live updates and last minute Wagon stops!